As more schools attempt to make learning more student-centered and personalized, a new report has suggestions for helping teachers keep pace. Competency-based classrooms — usually defined as environments where students receive personalized support and progress through material at their own pace — can be both rewarding and challenging for teachers, as they balance increasing variety in how they instruct students, the report said. People who want to be teachers should have multiple ways to receive their credentials, the report recommends. States should encourage partnerships with local leaders to make sure these solutions reflect the needs of the communities, are rigorous, and are equitable. Teacher training programs should reflect research-based practices and have clear standards. As new teachers transition into the field, a variety of support options should be available to them, such as mentoring or reduced class sizes for their first few years teaching. No one group involved in education — from the teacher to the district to the federal government — should have a disproportionate amount of responsibility in an accountability system, the report said. Accountability systems must provide support for the people being held accountable, so that they have the tools to succeed. For example, if educators have to change their teaching style as they transition to a competency-based setting, they should be provided with the resources to help them do so. Both teachers and students should feel they belong in their school, regardless of their background. 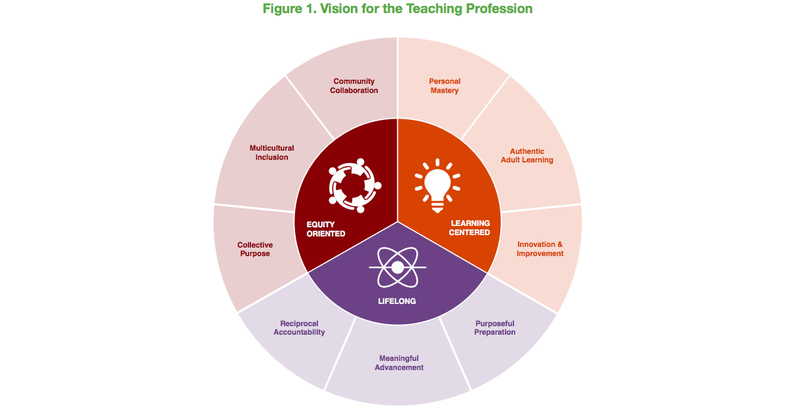 This requires that educators model respect, schools hire teachers of diverse backgrounds, and districts provide the time for staff to connect with families and students. Building these relationships will help teachers understand their students’ learning goals and develop ways to connect with parents. Decisions in schools should not rest only with those who have the most authority but also with students, teachers, and families, the report said. This requires flexibility, such as in how educators design lessons, use assessments, and pick projects. However, flexibility should not undermine quality, and school leaders should make sure educators utilize good teaching practices and adhere to the school’s learning goals. Leadership in a competency-based environment cannot follow the top-down pattern of a traditional school system, where teachers receive direction from principals who receive direction from district leaders. Instead, teachers must have leadership roles, whether that’s through committees or teams that help support and share best instructional practices. Collaboration is an important part of this, the report said, so teachers have time to design lessons, share them with colleagues, and receive feedback. Professional learning should connect to a school’s curriculum, standards, and tests, as well as what teachers want to learn. The science of learning should also be an important part of professional learning opportunities. The report recommends that these opportunities be incorporated into on-the-job training so teachers can practice what they learn. Disclosure: The Bill & Melinda Gates Foundation provides financial support to iNACOL and The 74.